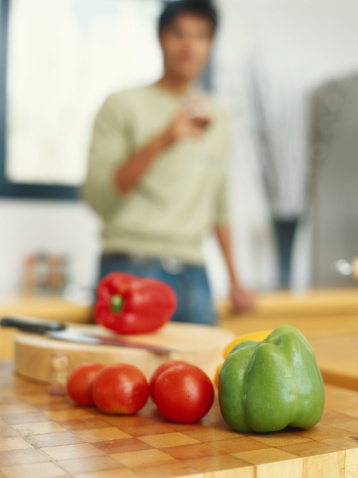 Growing hot peppers at home can be much more cost effective in the long-term than purchasing peppers from the grocery store as you need them, even given the relatively inexpensive cost of fresh peppers compared to other vegetables. Hot peppers are also packed with seeds, providing an easy source for future generations of pepper plants after you have harvested them. Peppers can thrive in warm to hot climates, but if you are getting less-than-stellar results other factors may be hampering growth. Have fresh jalapenos always at arm's length by growing your own. Pepper seeds are notorious for their slow seed germination times. If you are starting your own jalapenos from seed indoors and the seeds have not yet germinated, it may take up to a month or longer before you will see the first sprouts from the germinated pepper seed. If you are starting the seeds in your outside soil, germination could take even longer when unique soil, climatic and atmospheric conditions are taken into account. If your plants have already germinated but still do not appear to be growing, improper soil or growing conditions could be the culprits. Jalapenos need lots of sunlight, so first ensure there is no shade or foliage blocking direct sunlight from the jalapeno plants. Soil should be well-drained and nutrient-rich, though too high a concentration of nitrogen can have a deleterious effect on plant growth. Adding a time-release fertilizer may improve growth. Organic compost added to the plants when first transplanted outside can also foster healthy growth. Remove any weeds growing near the jalapeno plants that could be sapping moisture away from the peppers. 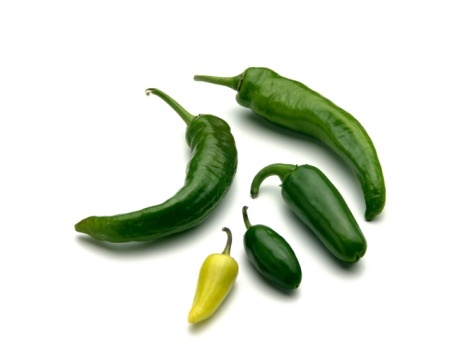 Despite their proclivity for warm, dry climates, jalapenos need plenty of water at all times. Jalapenos should be watered every other day or at the least every third day. Be careful not to over-water the plants as this creates a breeding ground for bacteria and fungal growth. When your jalapeno seeds are first transplanted outside after germinating indoors all the way until the first fruiting season, they will require more frequent watering to satisfy the young plant's moisture and nutritional needs. After the first fruiting, back off the watering to every other day or every third day. If you've eliminated slow germination times, poor soil conditions or moisture problems as culprits of your jalapeno's poor growth, it is possible it may have become infected with a disease. Insect interference from aphids, thrips and diseases like tobacco mosaic virus, root rot, cucumber mosaic virus or wilt diseases are all known to commonly affect jalapeno plants. Carefully inspect the leaves, stems and fruit of your jalapeno plants for telltale signs of disease or pest problems, like cankers or spots on stems, wilting, yellowing or defoliating leaves, and growth on the jalapeno peppers themselves.